if shadow and silver were sleeping on your kitanda what would wewe do? kwa the way, i am sarahsonic1056 but i am the new file cause someone hacked to that account so i am going to keep the story up. tails: guys!!! i just found out that honey is being...mind controlled kwa some one. 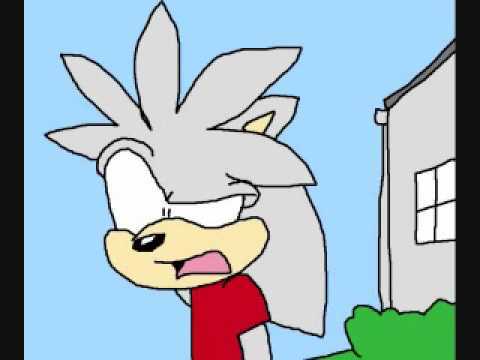 Silver the Hedgehog (シルバー・ザ・ヘッジホッグ Shirubā za Hejjihoggu?) is a fictional character from the Sonic the Hedgehog series. He is an anthropomorphic silver-colored hedgehog hailing from at least 200 years into the future where his role is to protect his time kwa changing the catastrophes of the past, thus preventing the ruining of his era. To aid him, Silver makes use of his psychokinesis, an ability from his time that is considered the norm, which allows him to songesha objects with the power of his mind. Hi there, I am Silver the Hedgehog. I am a hedgehog that comes from the future obviously, and I actually came here to this world to save my future though I'm just ignoring it and saving lives. Okay, let's just go on with this already. Okay, so I'm the main character and Shadow is the sekunde main character wewe can say. Let's go! shadow: but i have a surprise for wewe honey. honey: *gasp* a surprise... I upendo SURPRISES! WHATS THE SURPRISE! silver: where are wewe going. sonic: hujambo guys, did wewe know Halloween is in 3 days. in part 2, shadow was called emo 2 times and Amy was captured kwa eggman but honey saved the siku but honey was knockout and got her powers back. a comment was made to the question: What would wewe do if silver was dying and his last final words to wewe were 'I upendo you', What would wewe say back to him? Shadow is a rival, "you kidding me!" He showed him the real iblis trigger. Do wewe hate it when people tease Silver?